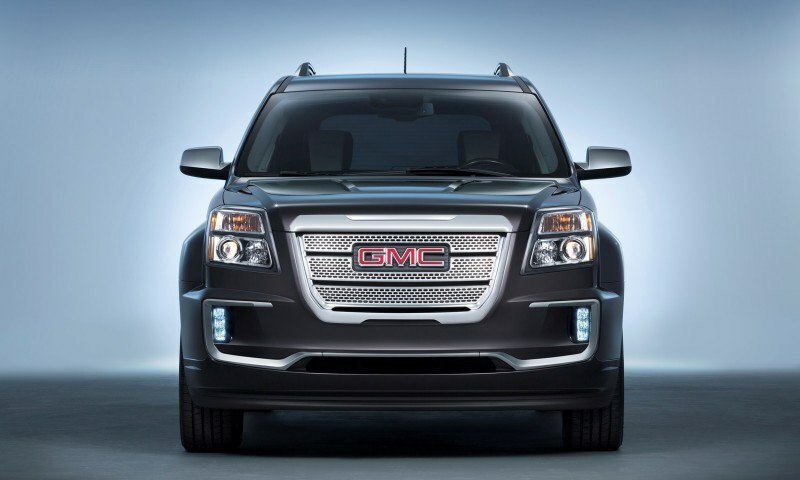 A midsize crossover so bland that we regularly forget it exists? 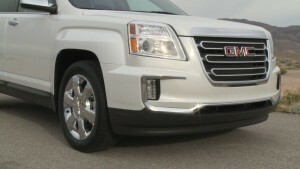 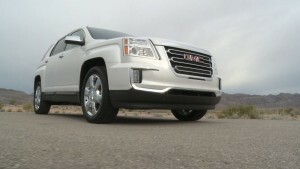 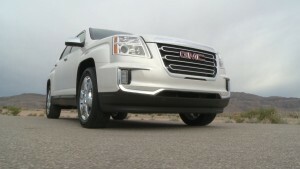 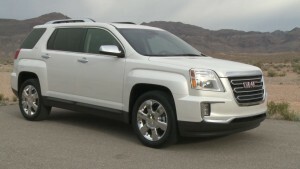 Oh, that would be GMC’s second-best-seller: the Terrain. 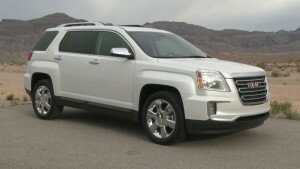 Paired with the Chevrolet Equinox, the new Terrain and Terrain Denali are right on the pulse of many buyers size, price and style needs even six years since their launch in 2009. 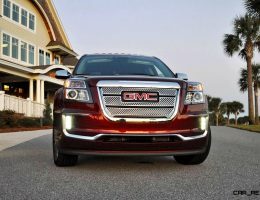 The Terrain and Equinox have actually increased their sales performance fairly dramatically in recent years, which may explain why they are so updated so slightly for 2016. 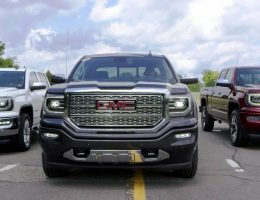 A new look for the nose comes from a fresh lower fascia design, revised grille detailing and a new hood shape with extra power dome emphasis. 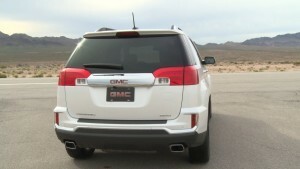 The tail is also extra lightly refreshed with new a new chrome shroud for the taillamps and an all-new bumper. 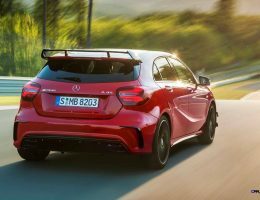 This is probably the most stylish piece of the new design, with heavily sculpted corners, silver accents and semi-flush square tailpipes in each lower corner. 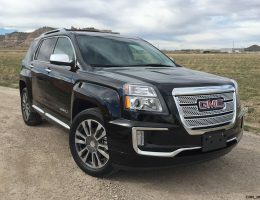 The Terrain and Terrain Denali are also updated in the cabin with slightly more NVH material, updated graphics for the MyLink touchscreen navigation, and a few other trim tweaks. 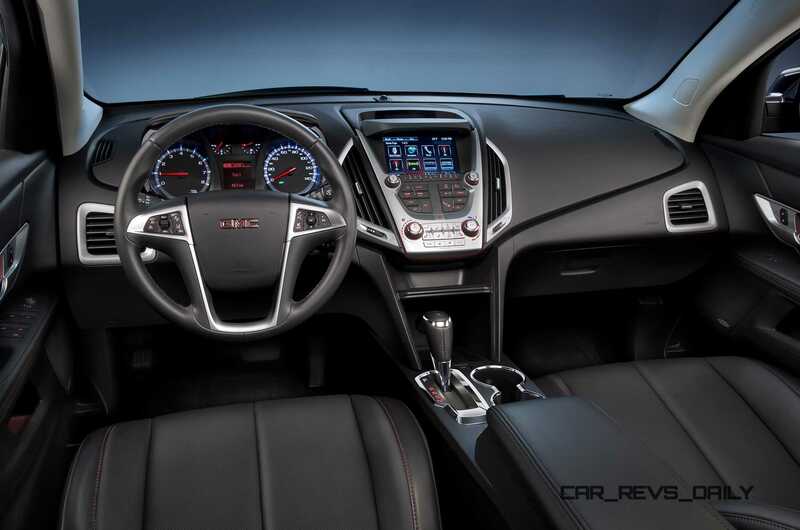 So it is still the same core package, overall. 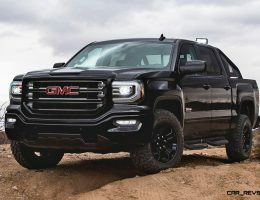 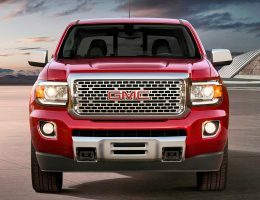 One that emphasizes its huge back seat and respectable balance of economy and all-weather abilities — all at a price that is extremely buyer-friendly. 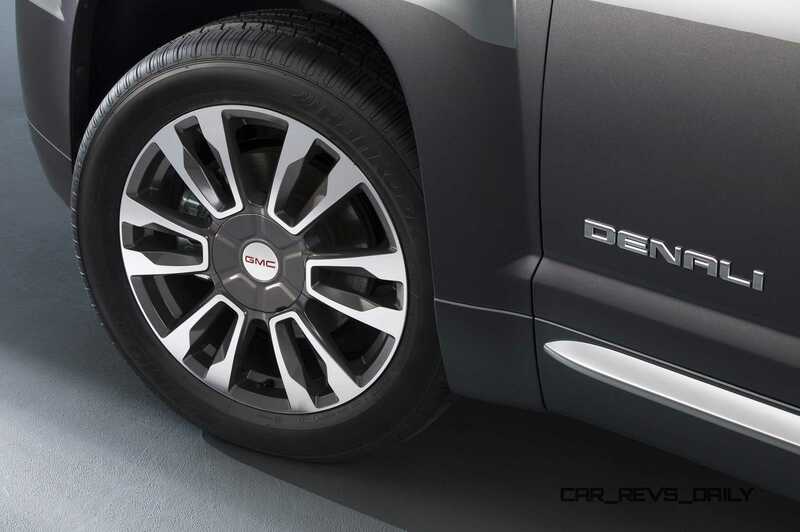 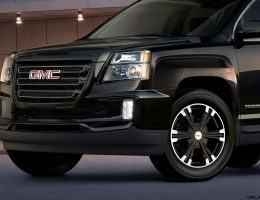 NEW YORK – Distinguished by a new, more contemporary front-end appearance, the 2016 GMC Terrain and Terrain Denali were introduced today, ahead of their public debut at the New York International Auto Show. 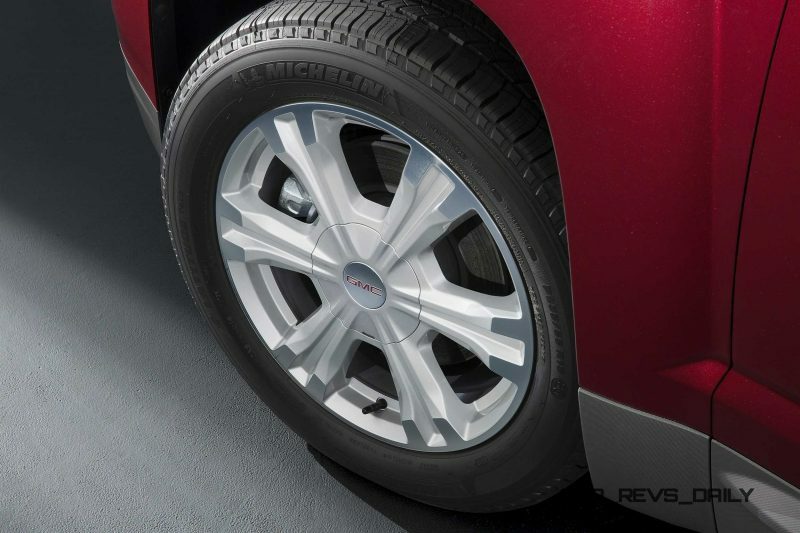 The compact SUV market leapt 17.4 percent in 2014 to account for 15.7 percent of the total U.S. market, overtaking midsize cars for the first time as the auto industry’s largest vehicle segment. 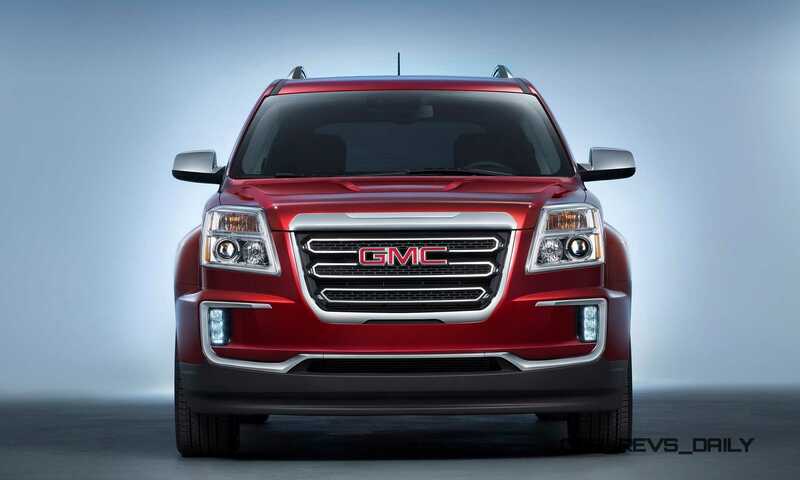 Terrain had its best year ever in 2014 with 105,016 sales. 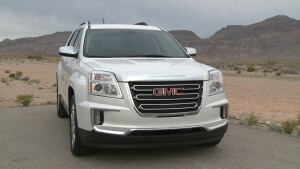 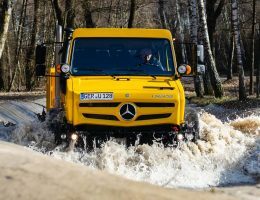 The momentum continues this year, as Terrain enjoyed its best-ever January and February sales. 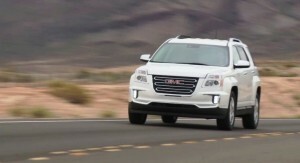 The New York region is the national leader for compact SUV sales, with more than 200,000 retail units sold last year. 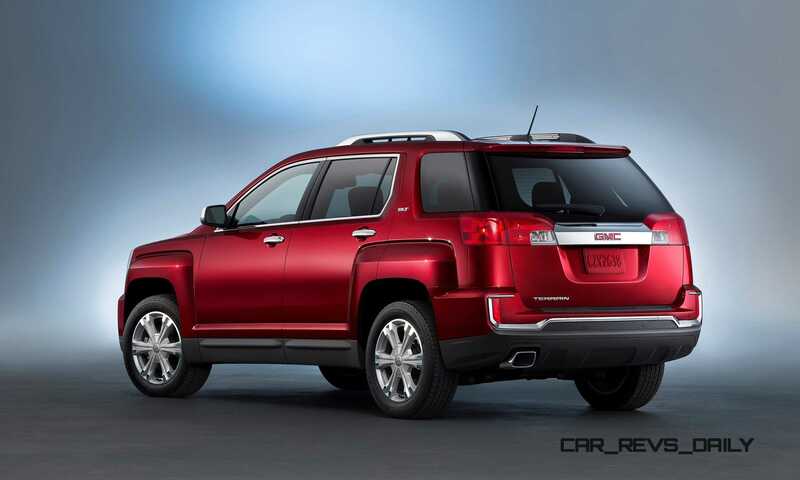 It is also second-highest selling region for Terrain, behind Detroit. 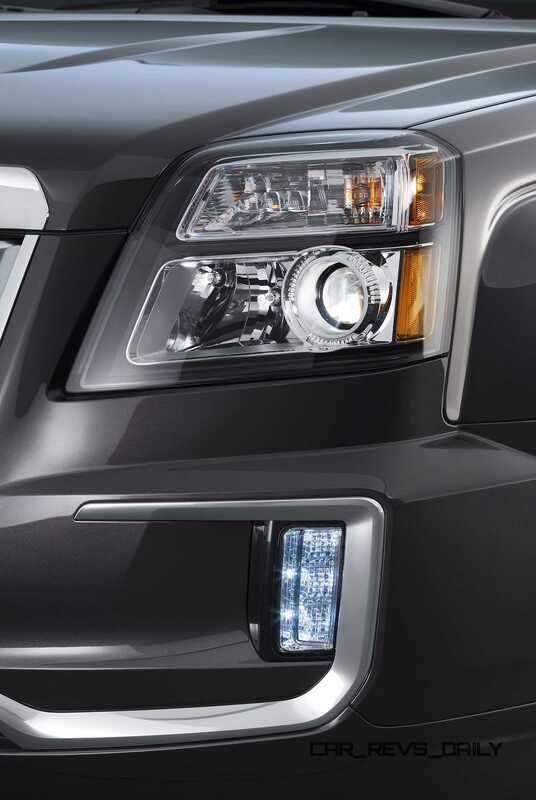 Available Side Blind Zone Alert and Rear Cross Traffic Alert safety features on SLE and SLT (previous available only on Denali). 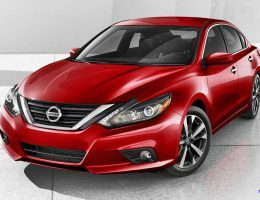 New White Frost Tricoat and Crimson Red Tintcoat premium exterior colors. 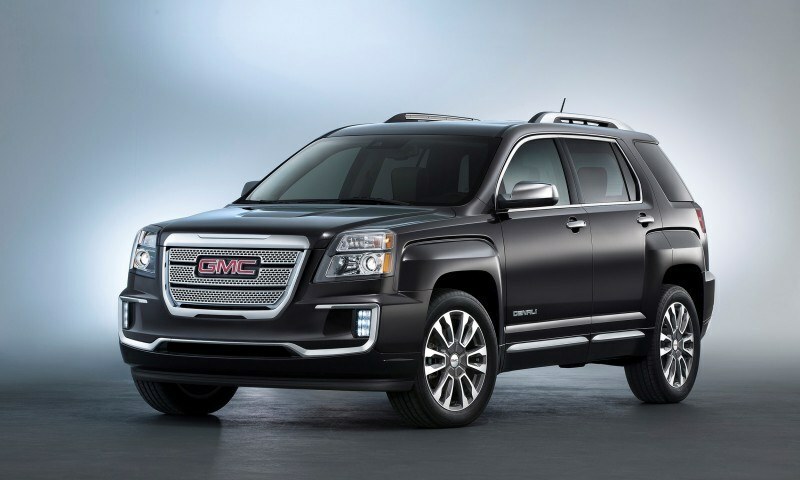 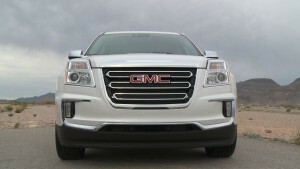 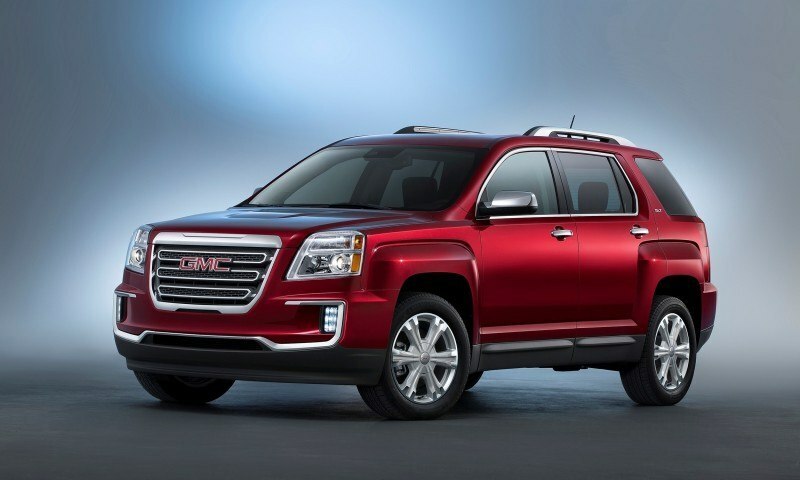 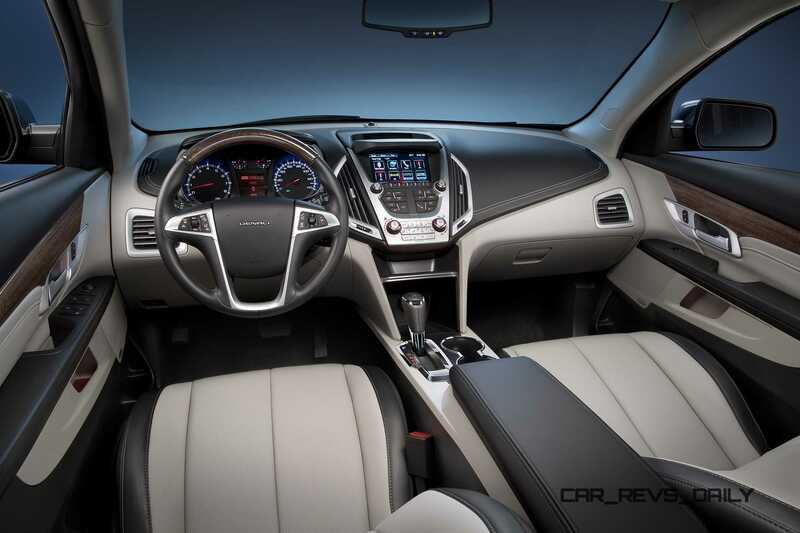 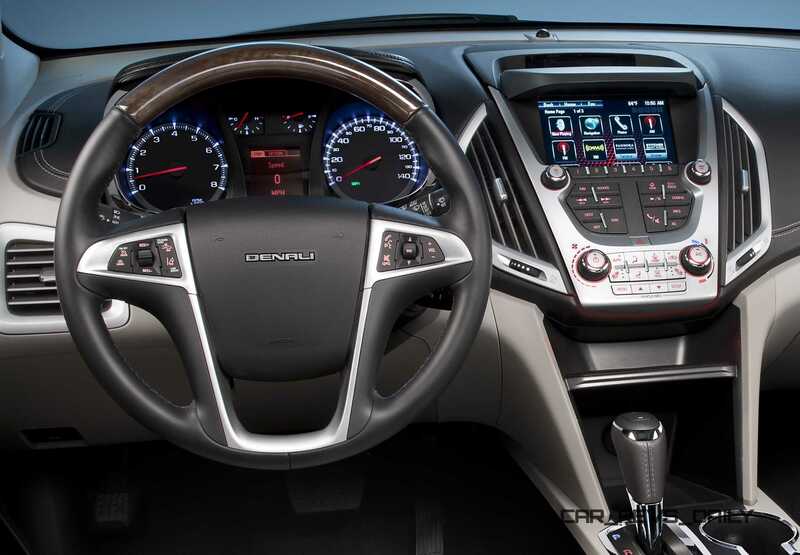 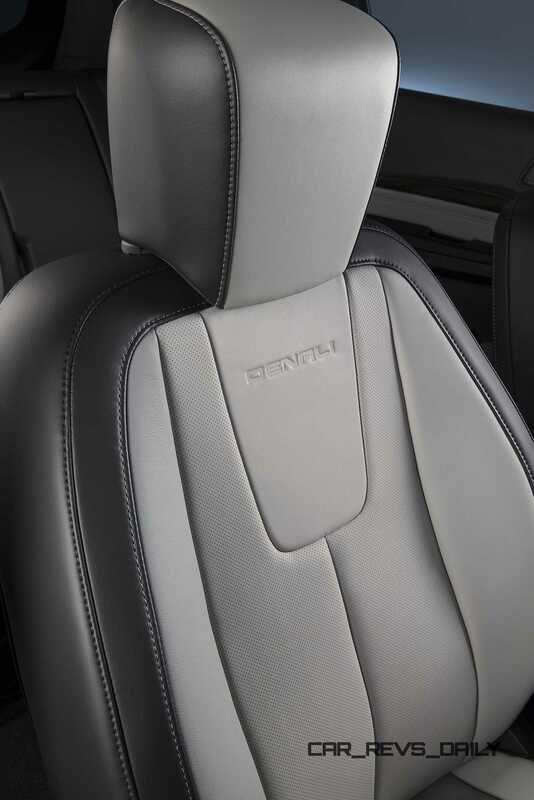 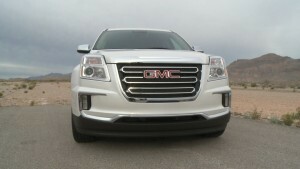 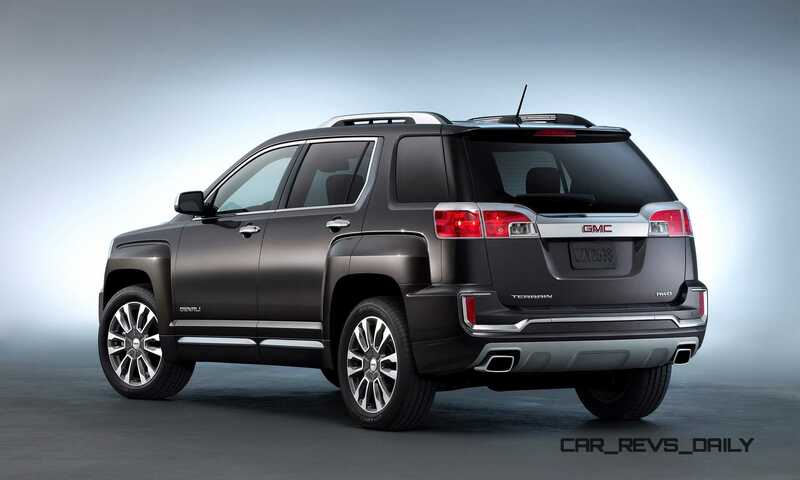 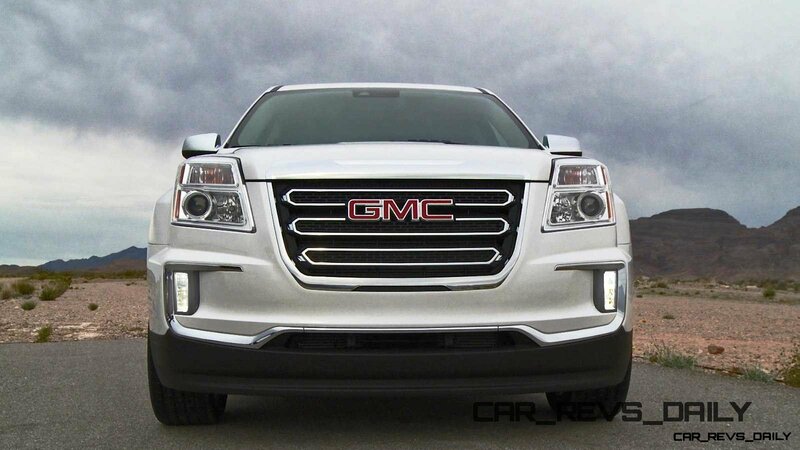 Bold design tops many customers’ reasons for purchasing the GMC Terrain and the updated 2016 models retain the distinctive proportion that attracts first-time buyers to the brand with a greater focus on precision and attention to detail. 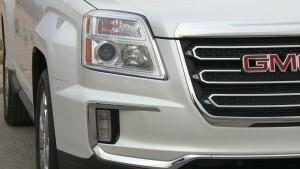 The Terrain Denali offers unique exterior and interior appointments, exclusive wheels and design cues to set it apart from competitors. 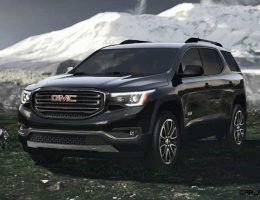 Dual-flow dampers are exclusive to the Terrain Denali’s suspension system, providing a smoother ride and improved handling by controlling suspension dampening across a broader range of driving conditions. The 2016 Terrain goes on sale this fall. Pricing will be announced later.